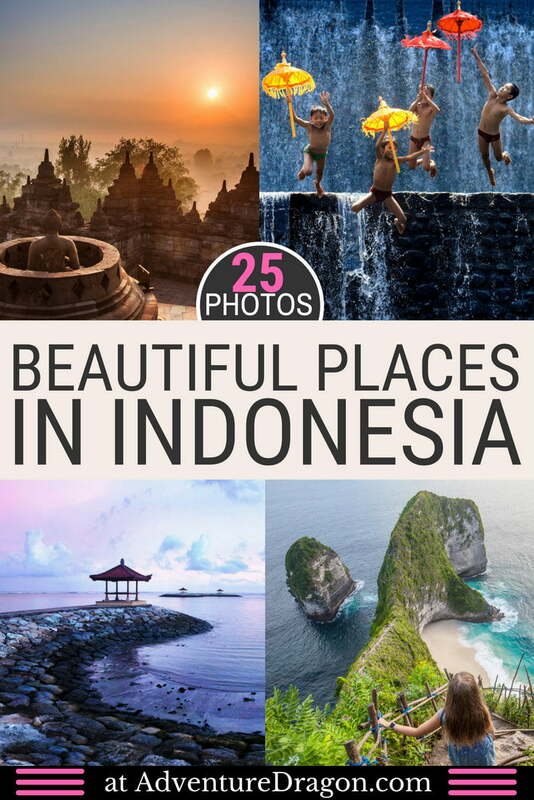 If you’re on a hunt to find the best places to visit in Indonesia, you can’t miss any of these gorgeous locations. 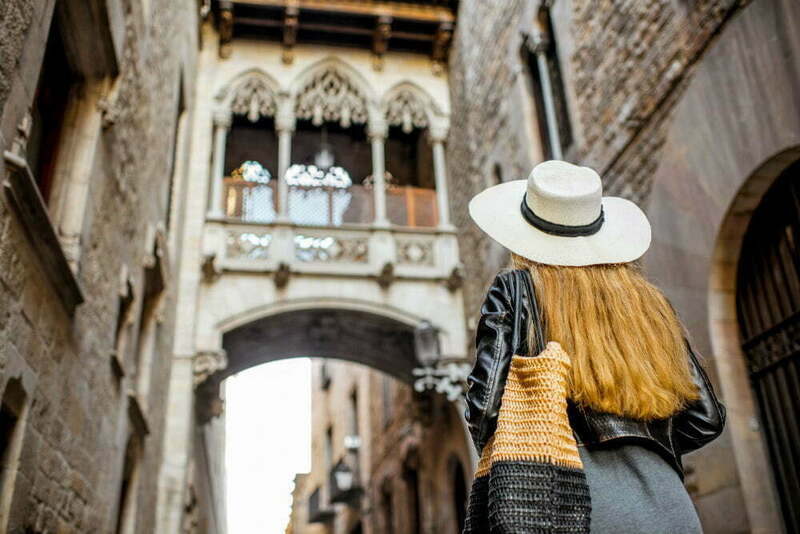 We’ve carefully compiled a record of 20 bucket list-worthy entries, presented to you in 25 breathtaking photos. 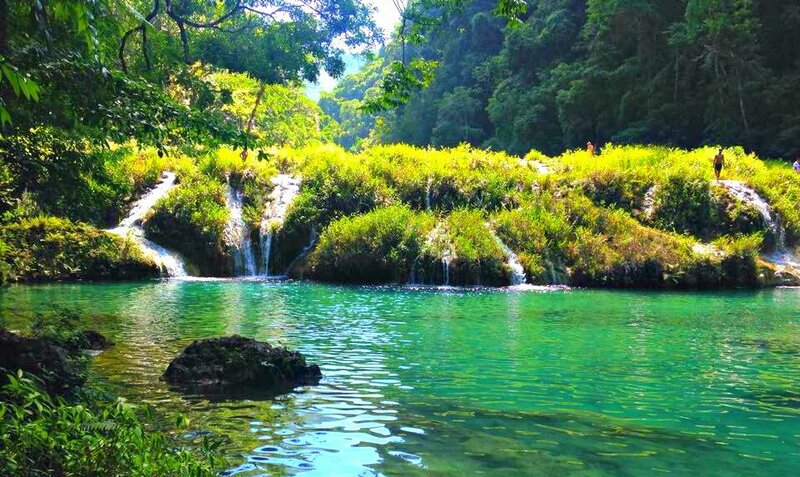 From top tourist spots to hidden gem attractions, these are truly the most beautiful places in Indonesia. Which ones are your favorite? 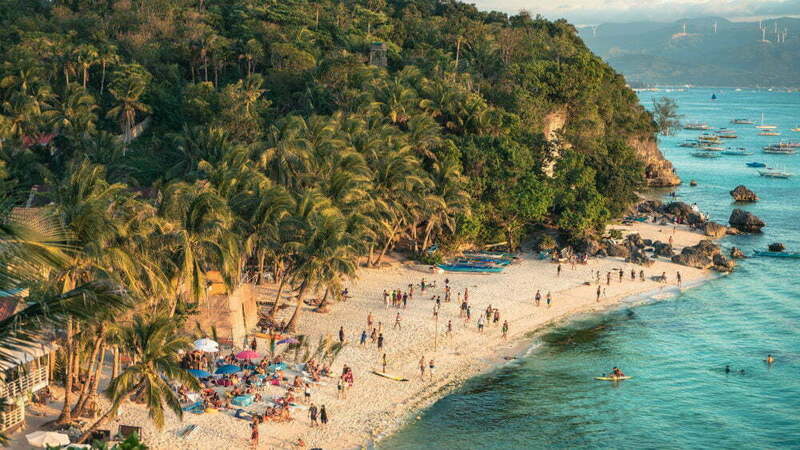 With over 17,000 islands making up the nation, choosing the best spots can prove to be a torturous task, but we did it. And we hope you agree with our favorites! 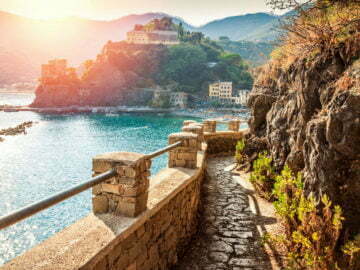 This popular tourist destination is known as the Island of the Gods and is home to over 20,000 Hindu temples, picturesque rice fields, waterfalls, and pretty beaches. Karang Beach exists as a smaller section of Sanur Beach which runs along the southeastern coast of Bali. 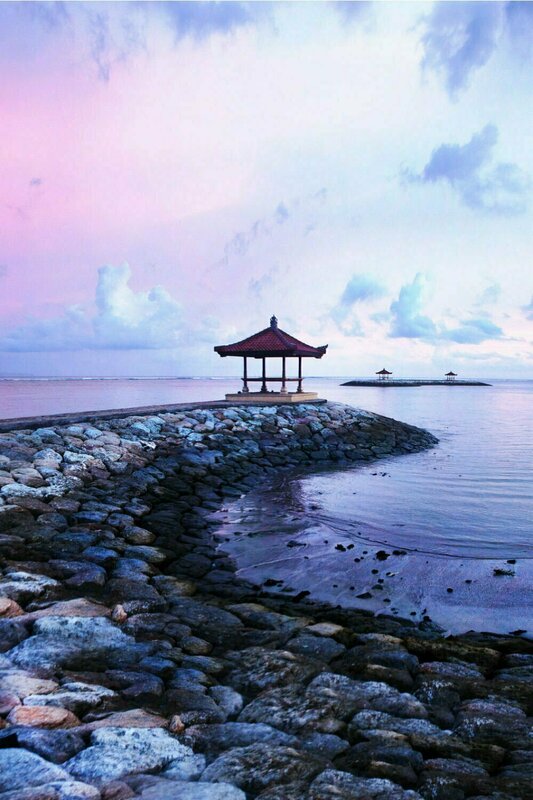 Known for its shallow ocean waters and beautiful sunset backdrops, the seaside town of Sanur has become a favored vacation spot by tourists who prefer a serene locale to the bustling Kuta. The gentle cascade and softly sloping step formation of the rocks allow visitors of the Kanto Lampo Waterfall to easily climb onto its ledges. 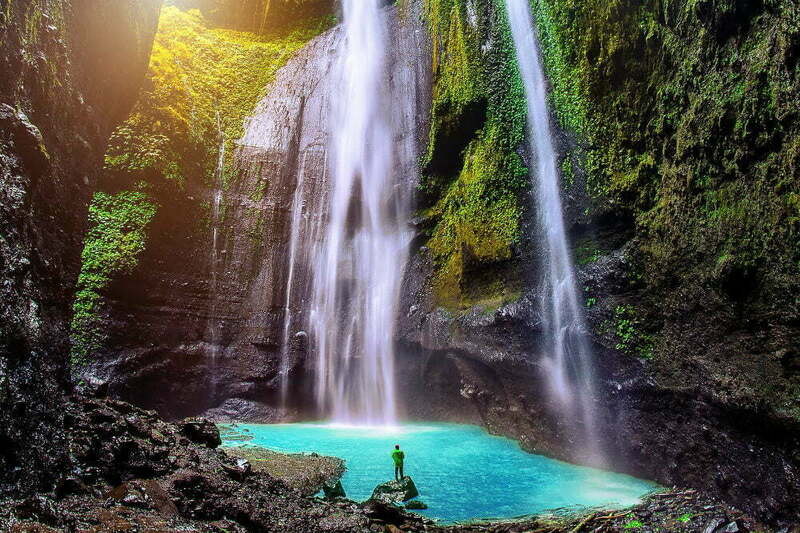 Pictures taken here look amazing, so it’s one of our favorite Indonesia photography spots. 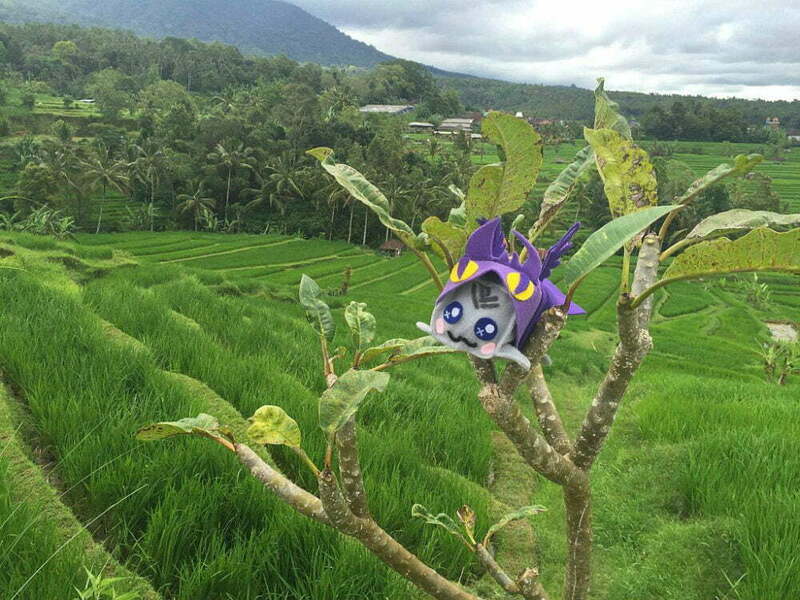 The beautiful Bali Jatiluwih Rice Terraces were one of the first cultural attractions that Adventure Dragon ever visited in Indonesia. Not only are they a pleasure to look at but they’re also a UNESCO World Heritage site. 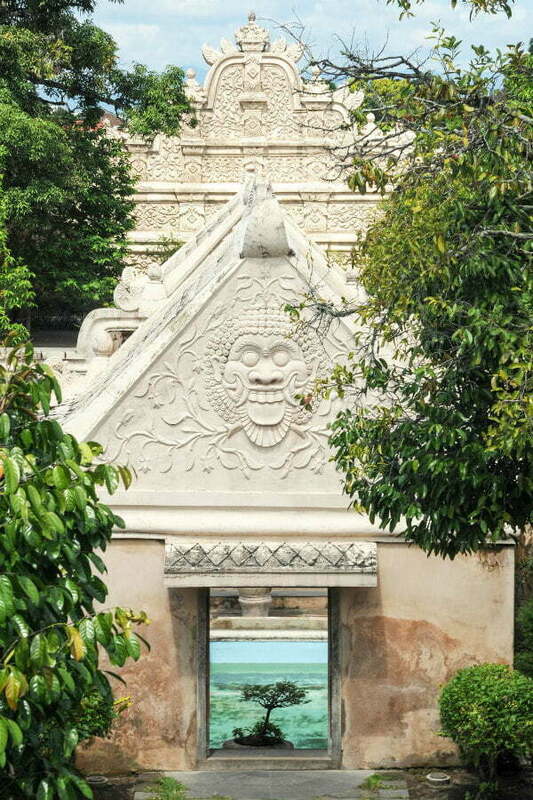 This beautiful Balinese water temple sits on small islands surrounded by a lake. It’s one of Bali’s nine directional temples that protect the island. 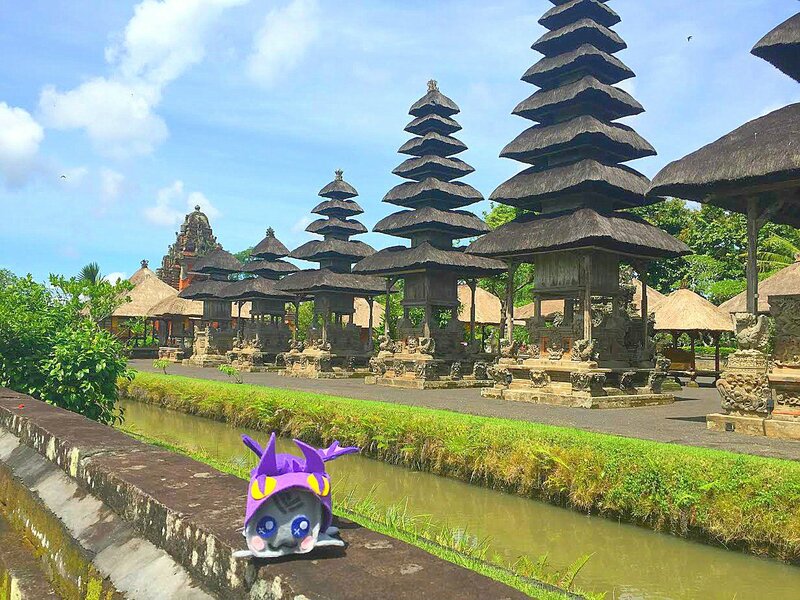 There are over 20,000 temples in Bali, and each type has its own unique purpose. If you’re as fascinated by them as we are, you can learn more about their functions and our favorites in our detailed temple guide below. 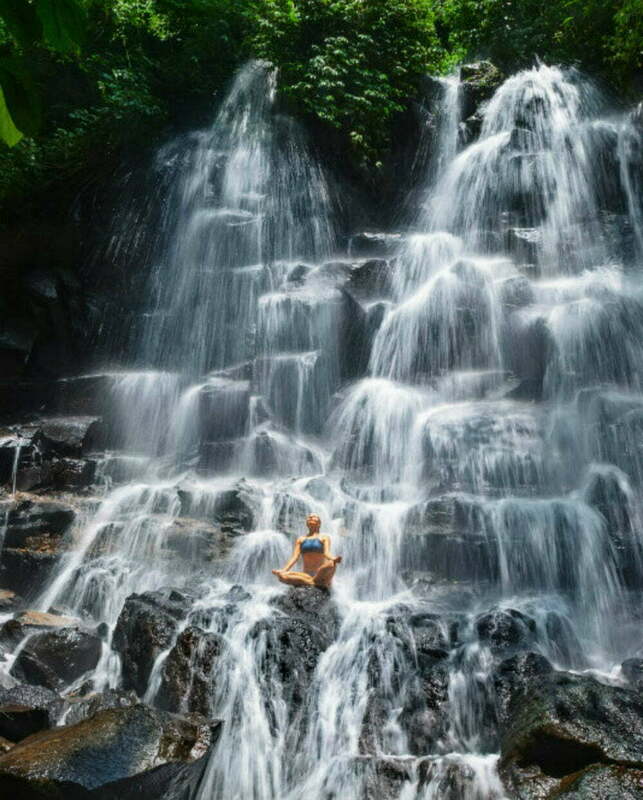 The 80-meter tall Sekumpul Waterfall is actually not a waterfall at all but a cluster of 6 or 7 waterfalls that collectively form one of the most beautiful places to visit in Bali. Surrounded by a lush green forest valley, it requires a bit of a hike to reach from the village of Sekumpul, but the view is one you won’t ever forget. The dam on the Tukad Unda River in Bali creates an artificial waterfall that’s used as a popular recreation spot for locals. 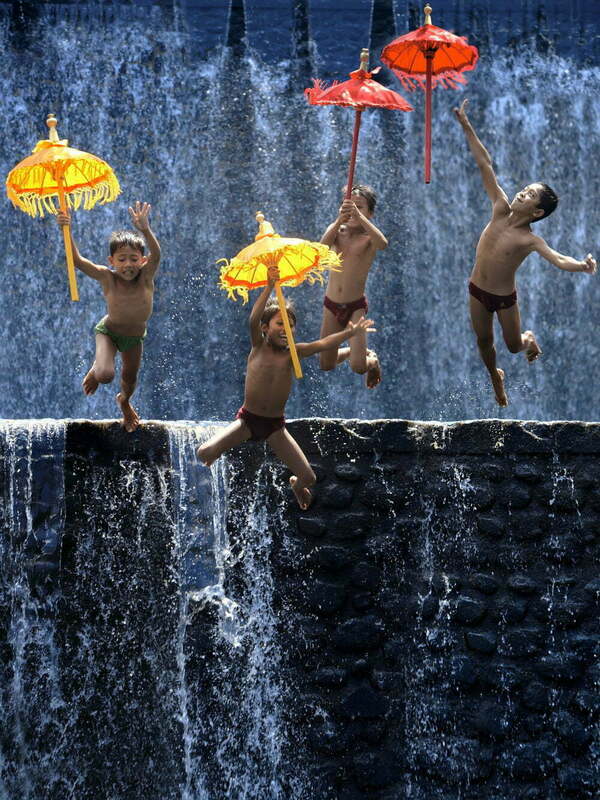 Children play atop the falls, splashing each other with buckets and leaping from the dam with colorful umbrellas in hand, their movements perfectly synchronized so that it looks more like a choreographed dance than just kids being kids at play. If you’d like to see it for yourself, this beautiful Indonesia photography spot is located just 25 km from Ubud in Klungkung. Lying southeast of Bali and separated by the Badung Strait, Nusa Penida Island receives less tourism than its nearby sister, but those who venture upon on its rolling hills will be quick to attest that it’s just as beautiful. 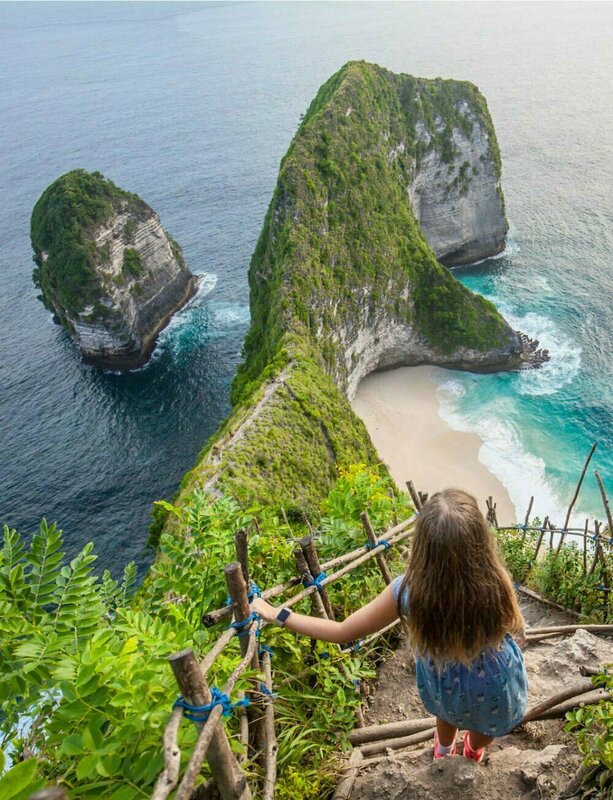 Affectionately nicknamed after the dinosaur shape it closely resembles, T-Rex Bay launched a surge in tourism to Nusa Penida after photos of the island started circulating around the internet and Instagram in recent years. This beautiful place’s true name is Kelingking Beach, but you’ll also hear it referred to as Kelingking Secret Point Beach. 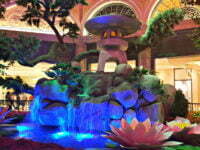 The beautiful Angel’s Billabong transforms into a private pool paradise at low tide. 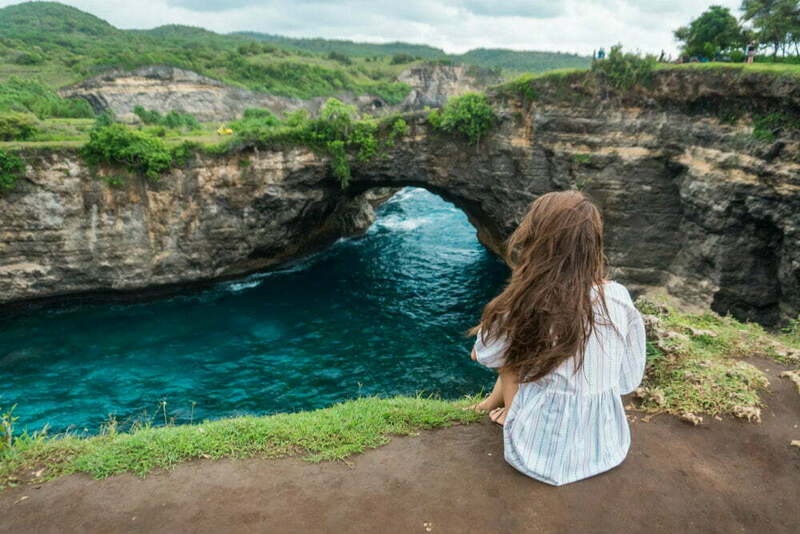 This hidden gem is also just a short walk from Broken Beach on the southwestern coast of Nusa Penida. The eroded arch in the cliffside allows the ocean to freely flow through, giving this Indonesian landscape its striking appearance that just begs to be photographed. 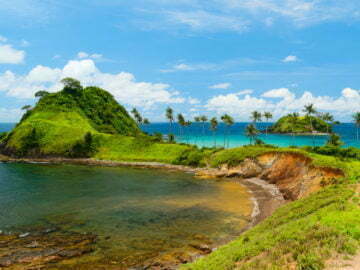 Nusa Penida’s Broken Beach is one of the most beautiful places in Indonesia. Java is the world’s most populous island and is home to Indonesia’s capital city as well as 57 percent of the nation’s people. 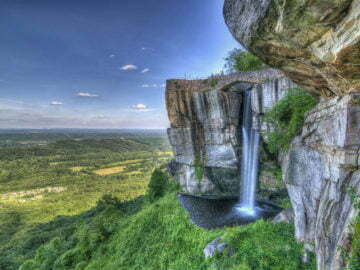 It’s also the location of some of the most beautiful places in Indonesia that we’ve ever seen. 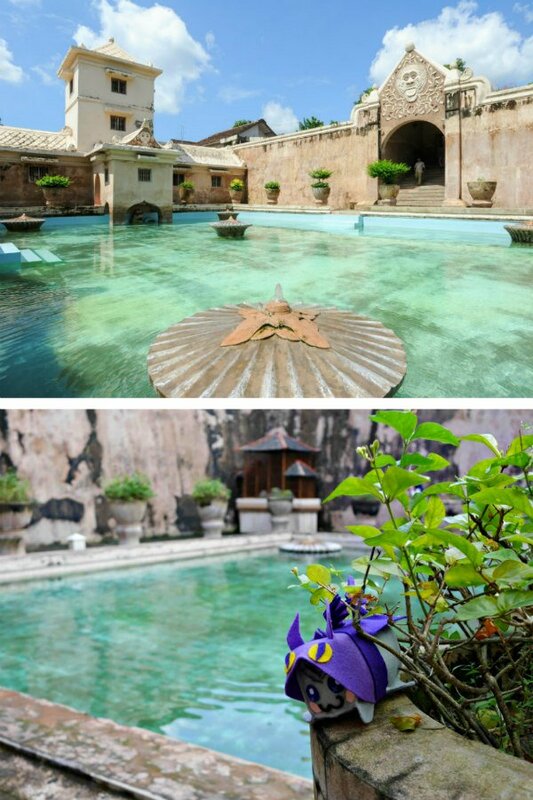 Princesses once bathed at the Taman Sari Water Castle of Yogyakarta. As the former royal palace, garden, and home of the Sultanate of Yogyakarta, the 18th-century complex charms present-day visitors with its beauty as well as its legends. 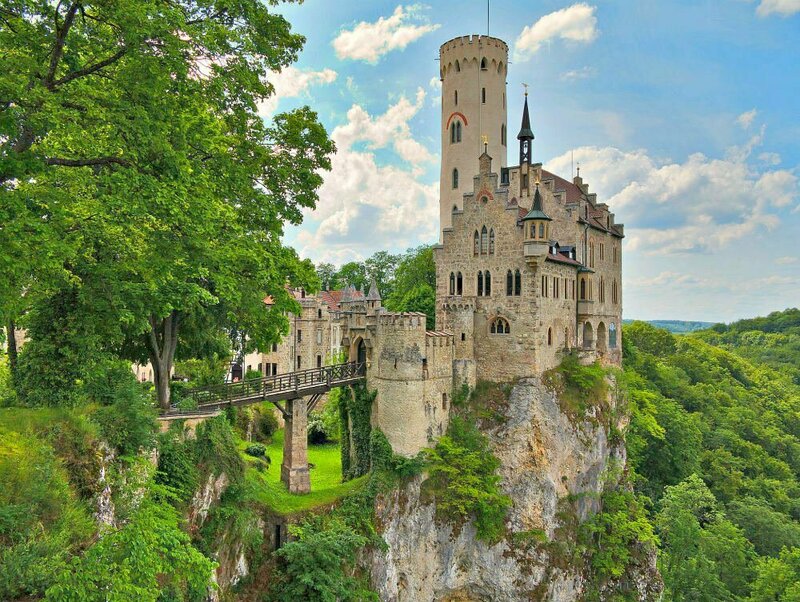 It is said that sultans throughout history chose their wives by hiding in the tower, where they would watch and study the bathing ladies who played in the pools below before tossing a single rose to a chosen girl. 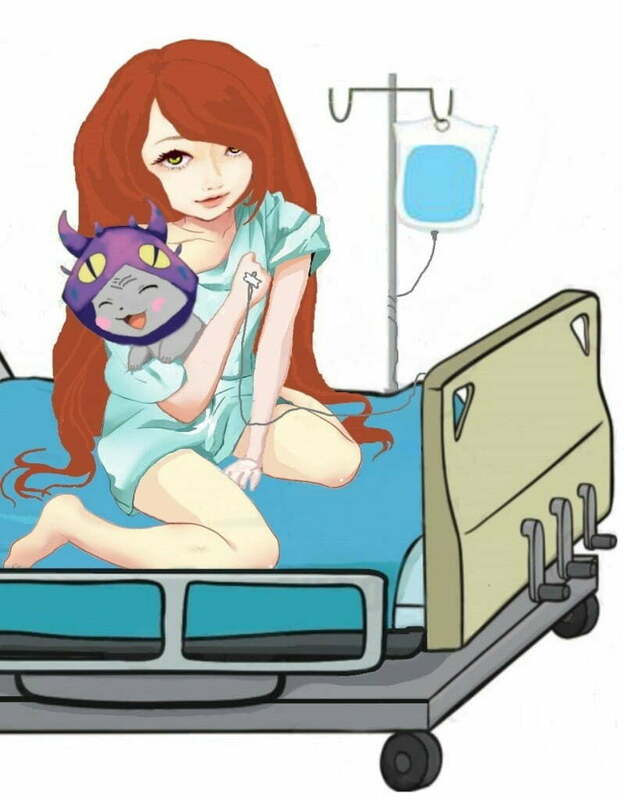 She who caught the flower would become the sultan’s wife. 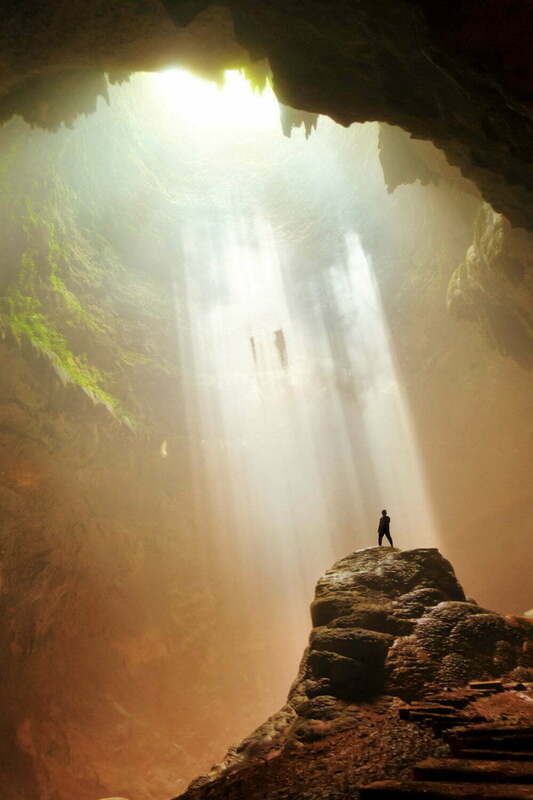 Jomblang Cave contains an entire ancient forest within its depths, but it’s perhaps most famous for its “Heaven Light” that washes its entrance in glowing sunbeams and provides an epic spot for capturing photographs. 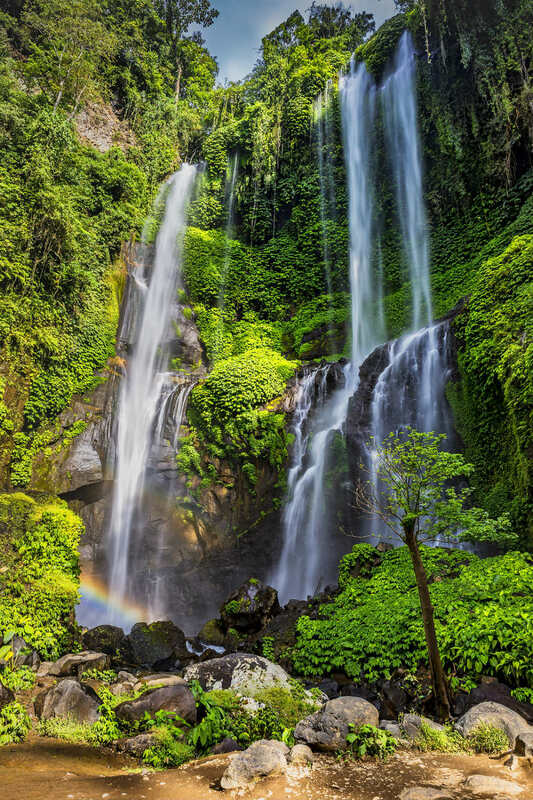 Reaching a height of 200 meters, the Madakaripura Waterfall is the tallest waterfall in Java and the second tallest waterfall in Indonesia. 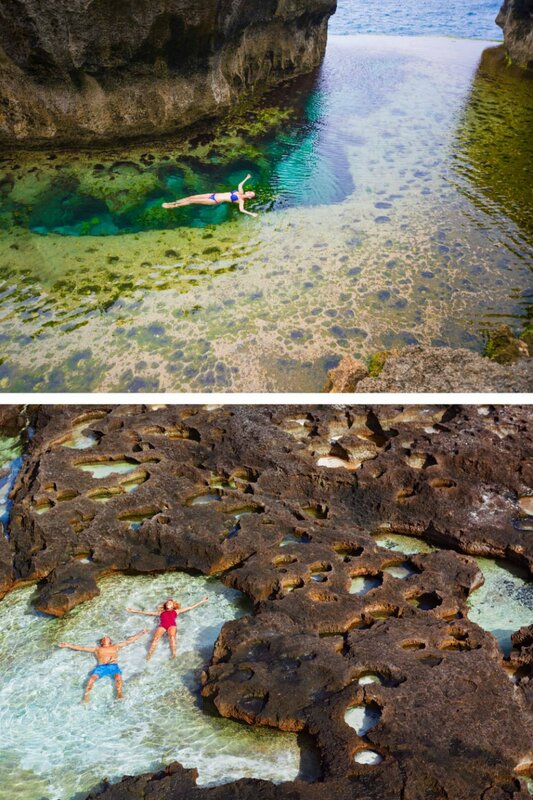 To access it, you have to squeeze your way through a moss-covered canyon before reaching the gemstone blue waters of a small plunge pool that lies at its base. Behind the falls, a small cave is tucked into the rock and once served as a meditation area for legendary war general Gajah Mada. 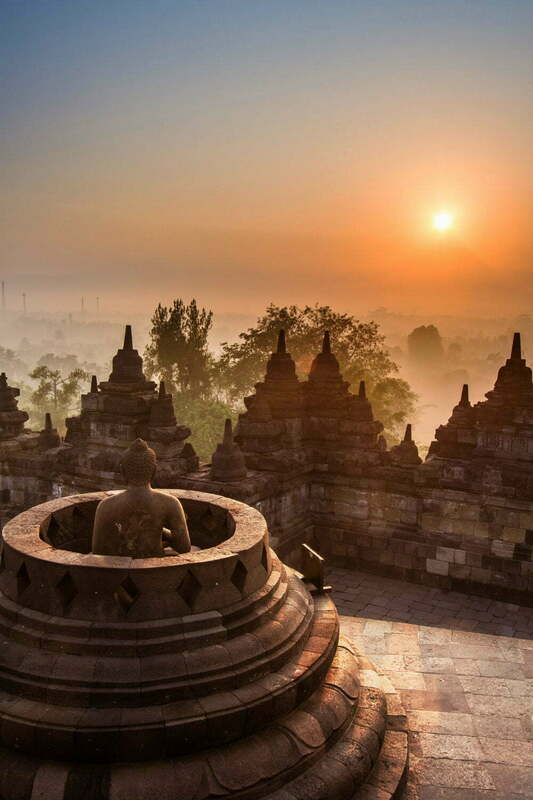 Dating from the 8th and 9th centuries, Borobudur Temple is Indonesia’s most visited tourist attraction and the largest Buddhist monument in the world. Its beauty and legacy have survived earthquakes, terrorist attacks, and volcanic eruptions, including being buried under volcanic ash before it was rediscovered and restored in 1815. Sunset tours of the complex are one of most popular ways to experience this wondrous UNESCO World Heritage site. Electric blue fire flows from this volcano at night. Many websites have begun calling Kawah Ijen the Blue Lava Volcano, but it’s not actually lava that’s responsible for this beautiful phenomena. It’s sulfur. 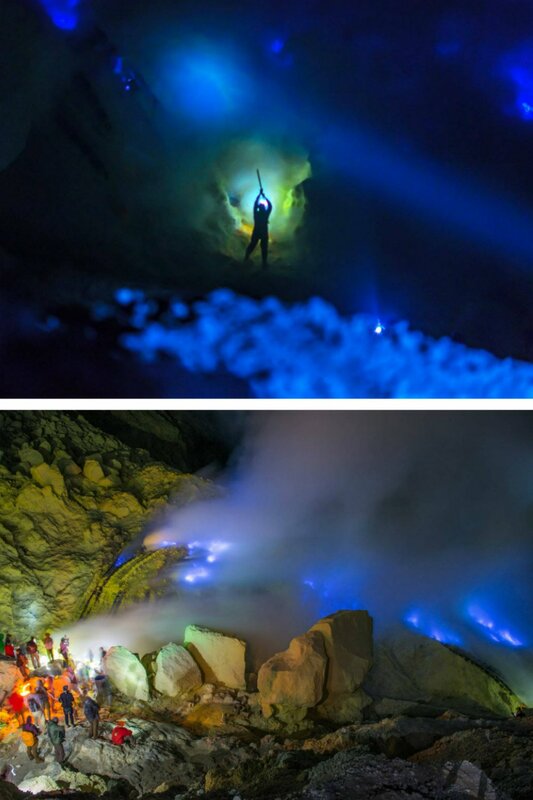 High-pressure sulfuric gasses emerge at very high temperatures (up to 1,112°F or 600°C) from cracks in the volcano, and when they mix with the outside air, they immediately combust, launching glowing blue flames up to 5 metres (16 feet) into the sky. Because sulfur has a low melting point (only 239°F or 115°C), some of these gasses even condense into liquid sulfur and continue to flow down the volcano while on fire, giving the breathtaking illusion of blue lava seeping from the volcano. 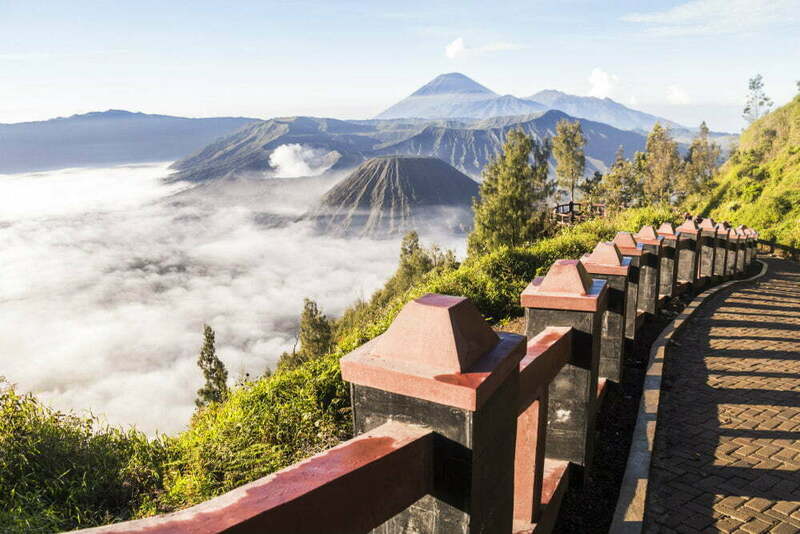 Mount Bromo consistently tops lists as one of the top tourist attractions in Indonesia. The plain surrounding the volcano is known as the “Sea of Sands,” but it’s often covered by a blanket of soft clouds. At an altitude of 2,329 meters, Mount Bromo appears to rise up out of the clouds like a floating island straight from a fantasy film. 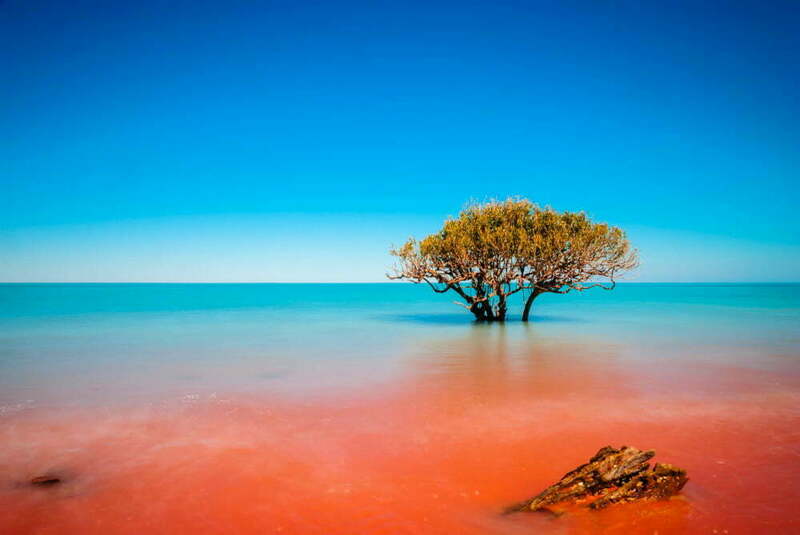 This stunning lake inside a volcano is best known for its milky, electric blue water and white sandy shore. 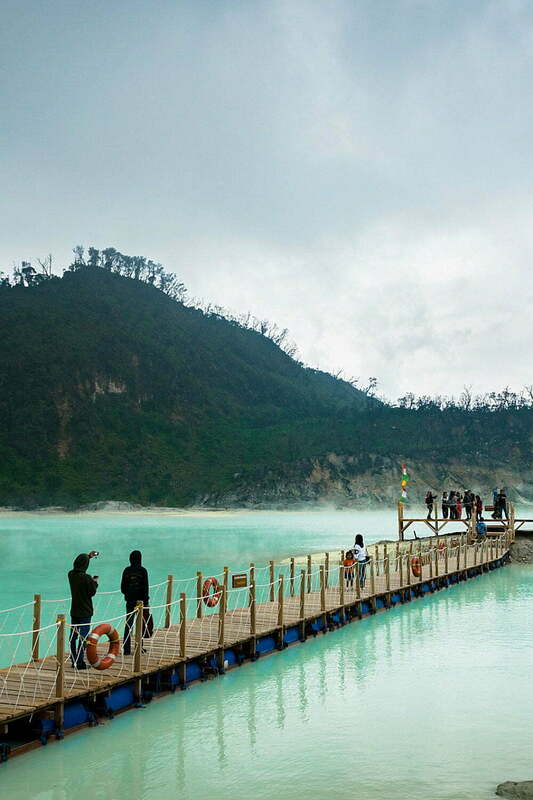 Kawah Putih is highly acidic, so you won’t be able to swim, but you should be able to capture all the photographic memories your heart desires. 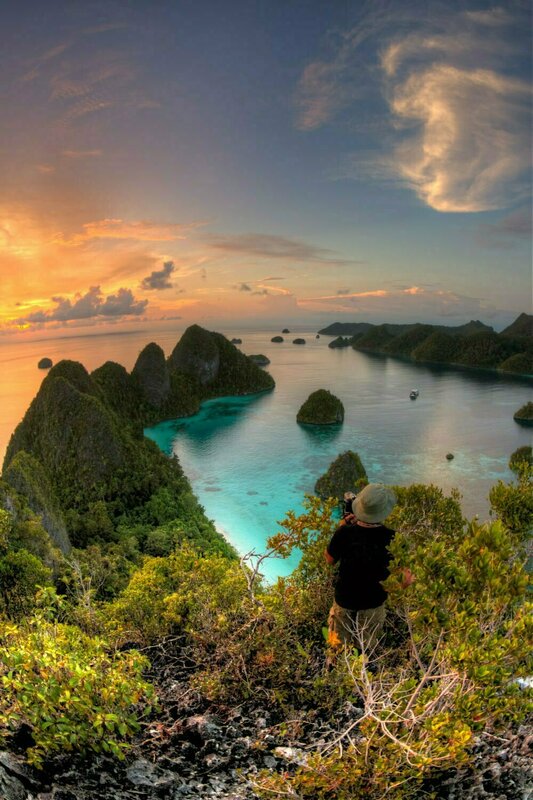 Over 1500 individual islets collectively form the Raja Ampat Islands, a breathtaking archipelago located off the northwest tip of Bird’s Head Peninsula in the West Papua province of Indonesia. As part of the Coral Triangle, it’s one of the best places in the world for diving enthusiasts and contains the highest marine biodiversity on Earth. This beautiful karst island lies just 10 kilometers north of the equator and is one of the most beloved islands in Raja Ampat. 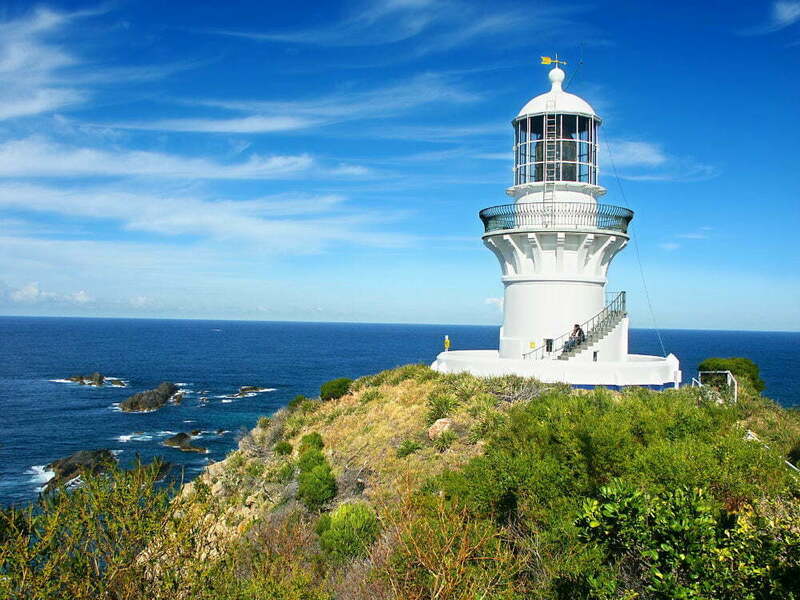 It takes roughly 30 minutes to hike to the top of the island’s highest viewing platform for iconic views of the surrounding coves. 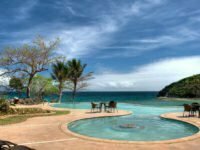 When most people think of Komodo National Park, they instantly think of Komodo Island, but the park is actually comprised of three large islands in Indonesia — Komodo, Rinca, and Padar — as well 26 smaller islands. This 1,733 km2 UNESCO World Heritage site is the only place in the world where you can visit real dragons in the wild. Komodo Dragons, which are technically the world’s largest lizard, can grow up to 3 metres (10 ft) in length, have a deadly bite, and like to munch on other large creatures like goats and deer for dinner. 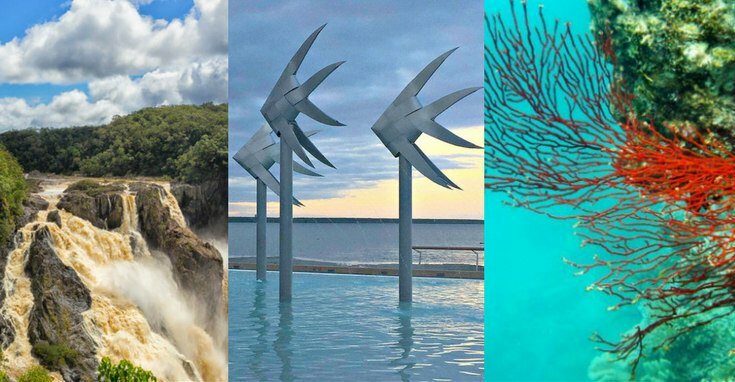 Organized tours will take you into their natural habitat to see them up close, but there’s more to the islands than just making friends with dragons trying not to get eaten by dragons. 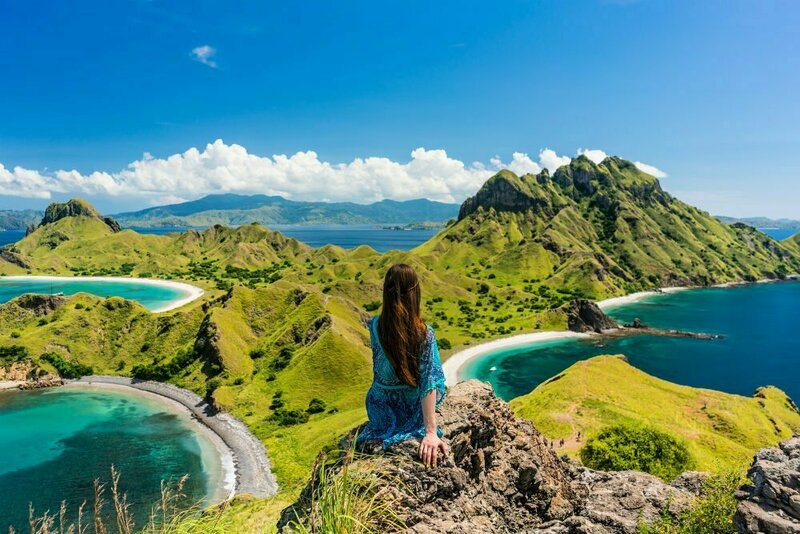 Komodo National Park is one of the most beautiful places in Indonesia, and you can’t end your visit there without first taking a trip to a pink beach or going on an amazing scenic hike overlooking Padar Island. 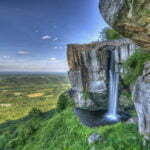 This is the absolute best place to visit in Indonesia. If you’re looking for mindblowing scenery that will take your breath away, you won’t find anything better than the iconic viewpoint located at the top of the Padar Island Hike. 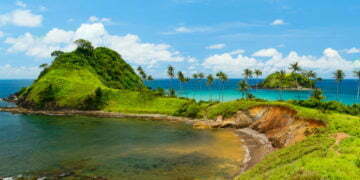 You can reach the island on a liveaboard or boat tour from Labuan Bajo. One of only a handful of pink beaches in the entire world, Pink Beach, or Pantai Merah, on Komodo Island gets its pretty pastel color from the red shells of small marine organisms known as Foraminifera when they wash ashore and mix in with the lighter colored grains of sand to form a uniform pink appearance. 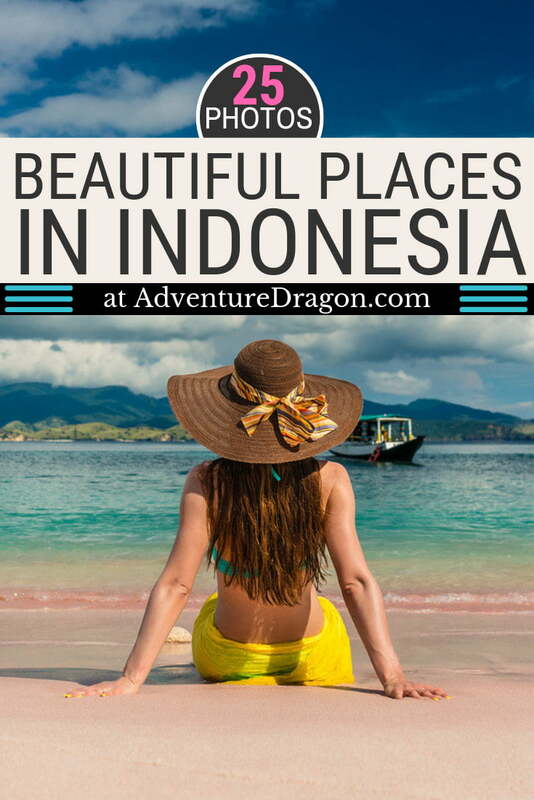 For more Indonesia photos & travel content, you can find a list of all our Indonesia Travel Articles here. You can also find more of our Beautiful Places Around the World series here. Please do not copy or reproduce any of the photos or content on this page without permission. 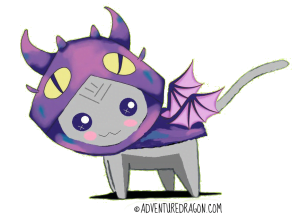 It makes dragons sad. 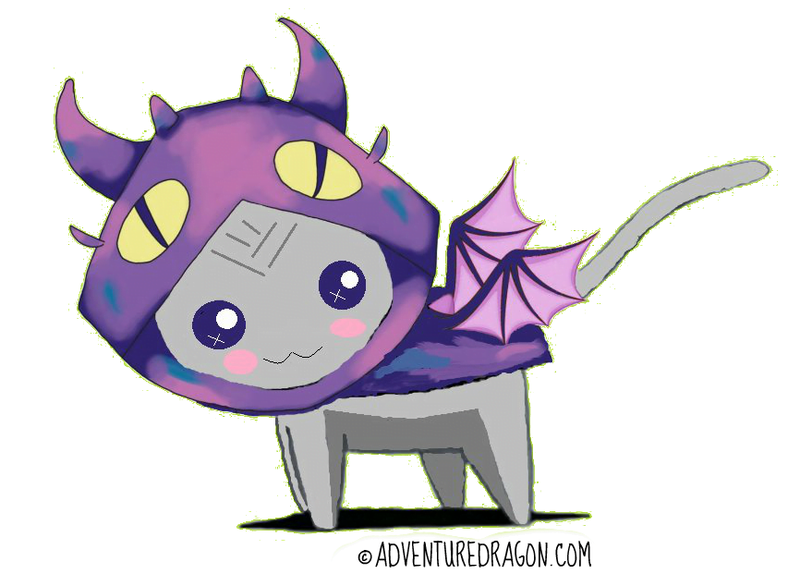 And nobody likes a sad dragon. Except for maybe sad people. Away with you, you poopy pirate. 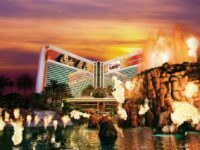 Thanks for sharing this great list, Jillian! 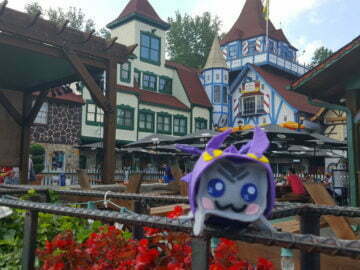 I knew about some of them, but I learned about a lot of places I hadn’t heard of before. Jomblang Cave is now officially on my list!